A Chinese businessman, linked to Huawei according to several media, as well as a Polish national were arrested in Poland as part of an investigation for espionage. 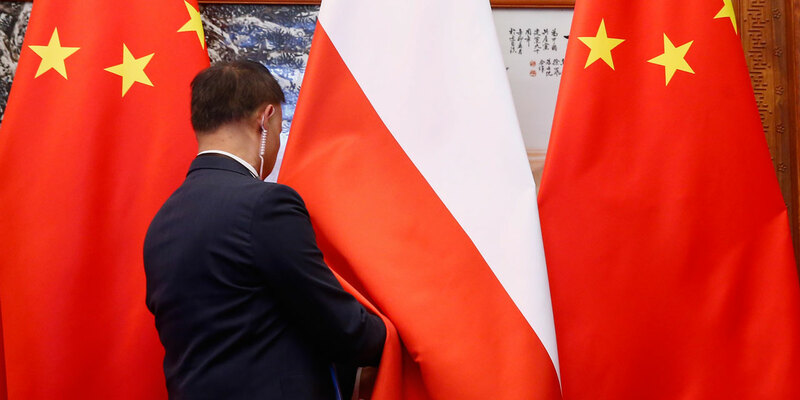 A Chinese businessman and a Pole suspected of spying for China have been arrested in Poland, senior officials in Warsaw said Friday, with media claiming that the Chinese was one of the local leaders of technology giant Huawei. Beijing "very concerned" by this arrest. Beijing said it was "very concerned" about the arrest of the Chinese businessman and called on Warsaw to guarantee the rights of the suspect. Asked by AFP, Huawei did not confirm if the suspect was one of his employees, saying simply "look closely" at this information. Huawei, founded by a former Chinese army engineer, is already blacklisted in several countries, including the United States, Australia and Japan, on suspicion of potential espionage. The three countries banned him from building a super-fast internet network, 5G. Suspected of having acted "on behalf of the Chinese services". The involved Pole had in the past worked for official bodies and was currently advising the Polish subsidiary of the French telecommunications group Orange. Arrested Tuesday, the two men are believed to have acted "on behalf of Chinese services and at the expense of Poland," said Stanislaw Zaryn, spokesman for the coordinating minister of special services. The Polish, a "known person in the IT sector". According to several Polish media, including the private television channel Polsat News and the public channel TVP Info, the Chinese suspect would be one of the directors of the Polish subsidiary of the Chinese giant group Huawei, while the Polish would be an expert in computer security and former officer of the Domestic Security Agency ABW - whose men arrested him. The Pole is a "well-known person in the IT sector," said Assistant Deputy Minister for Special Services Maciej Wasik, adding that the investigation "has been conducted for a long time, with great care." According to Stanislaw Zaryn, the man had worked in the past "for several state institutions". In remand for three months. A court decided on Thursday to set the two men's detention period, Weijing W. and Piotr D, at three months, said Stanislaw Zaryn, according to Polish law, only the first names of the suspects and the initial of their last name. The apartments and workplaces of the two men were raided, he added. Asked by AFP, Orange Poland has confined itself to confirm that "ABW officials took away Tuesday objects of one of the employees." "We do not know if it's relevant to his duties," Orange spokesman Wojciech Jabczynski said in a text message to AFP. In Paris, Orange contacted by AFP was not immediately able to comment. A court case involving Huawei, which is not about economic espionage, has recently shaken the relationship between the United States and China. On December 1, an official of the Chinese telecom giant was arrested in Canada at the request of the United States. China was all the more ulcerated that it is the daughter of the founder of Huawei. Washington, seeking extradition, suspects it of complicity in fraud to circumvent US sanctions against Iran. Thirteen Canadians have been detained in China since her arrest, eight of whom have been released, the Canadian Ministry of Foreign Affairs said on January 4th.